In The Elder Scrolls V: Skyrim, you had the chance to grab yourself skills, gold and equipment through the production of objects. 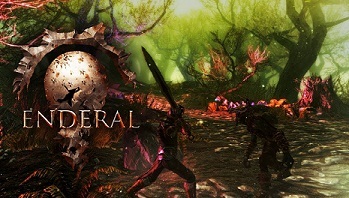 In Enderal, an expansion of the gameplay of Skyrim is the refinement of Housings. Each time you level up you get a few craft items, which you can put in the desired crafts category, so you can read the coveted books, which increases the value of your craftsmanship. Items: Whether you simply want to make weapons or relics. Items are always basic and you can find them in boxes or chests. Materials: All other craft materials are very similar to Skyrim and you need different parts for the respective objects. Housing: Who wants to camp every night? Here you also need to find blueprints to craft household items. So you can start with the design of your house, furniture lay out etc. Your construction mode in Enderal is much similar to Fallout 4. In Enderal you now have the opportunity to make your own furniture. Although you can buy them at a dealer but they will be very expensive. Under Construction Mode you can maneuver only to the desired location and when you confirmed you have the possibility to adjust the final position (height and rotation) of your furniture. Of course you can then interact with the furniture. Here, you can buy your house. Compared to its predecessors, you can now have the chance to buy your own house in different locations.